"Winter is Coming" but Sukasa Style doubts that the characters in the George R.R. Martin's The Game Of Thrones enjoyed the quality of the wines available to us all given our global marketplace: case in point is this week's Wine Wednesday pick - D'Arenberg d'Arry's Original Shiraz Grenache 2010 - hailing from McLaren Vale, Australia available at LCBO (VINTAGES 942904) for $19.95/ bottle. This is more expensive than the wines we have reviewed recently but the quality in vintage after vintage remains consistently good; it is an exceptionally friendly wine that will please a Christmas crowd accustomed to sipping yet serious enough to pair with rich food and balanced enough to lay in a cellar for another decade. The blending of syrah and grenache has been mastered in the Rhône wine region but here is a characteristically bold and powerful Australian take on the blend courtesy of Chief Winemaker Chester d'Arenberg Osborn and Senior Winemaker Jack Walton. The nose remains a mixture of sweet and savory reminding your reviewer of a flaming plum pudding after Christmas dinner while the intense cherry red colour is inviting. Having enjoyed this wine for a number of years the consistency of the vintages remains remarkable despite changes in weather patterns and harvests. 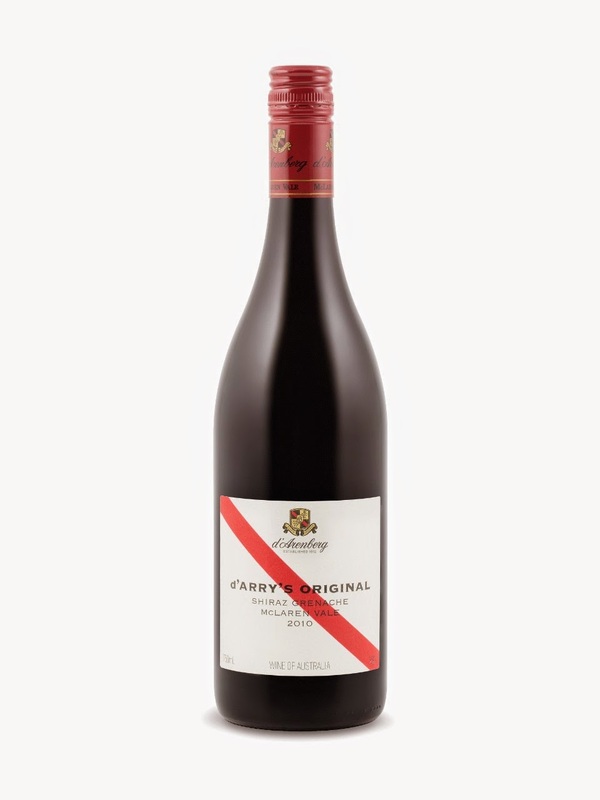 The high alcohol, often a trademark of full bodied Australian reds, gives the initial tasting some heat that isn't necessarily off putting because there are smooth tannins courtesy of the shiraz and slightly firmer tannins courtesy of the grenache on the palate. If you have the time then decanting is always recommended. The mouthfeel is concentrated and may feel a bit fruit forward but this isn't the case throughout as the spice and leather comes through later and there is enough acidity to pair bite through holiday fare. Food pairing: Prime rib, duck, cornish hen. Cellar for up to a decade. Decant before serving -- this can be a crowd pleasing sipper and a terrific food wine.